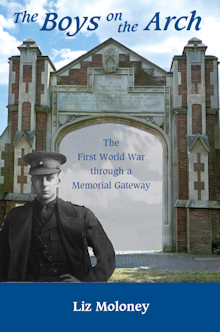 The Ascham St Vincent's Memorial Arch in Carlisle Road, Meads, Eastbourne commemorates the old boys of St Vincent's, Ascham and the merged prep school who died serving in the First World War. Their stories are told in this book from the school Chronicle's accounts of their schooldays, from war records, newspapers and letters, taking us through the war from the Western Front to Mesopotamia, from the cavalry charges on the Retreat from Mons in 1914 to the devastating 'flu pandemic of 1918. 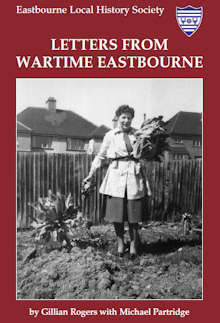 What was it like for Eastbourne families during WW2, when the town was one of the most-bombed on the south coast, and families were often divided? Mrs Nell Edmonds' letters home in 1940 have been collected here, with a foreword and account of the Spencer Road bombing, which killed a number of people including Mr Edmonds, by their daughter, Gillian Rogers. 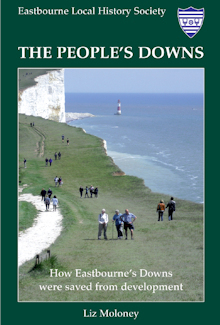 How did Eastbourne Borough Council become the owner of the Downs between the town and Beachy Head, and on what terms? How did that effort relate to other contemporary campaigns to save nearby downland, in particular the Seven Sisters? Using contemporary documents and newspapers, this is the story of the people and events of the original campaign in the 1920s to 'save our Downs'. 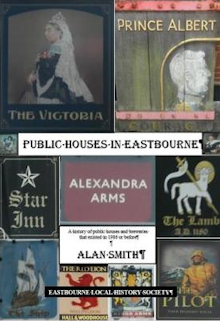 Public Houses in Eastbourne by Alan Smith. The history of Eastbourne's pubs, from the Angel to the Windmill. Every pub, inn, beer shop and brewery that existed in the town up to 1986 is listed and described, often with a photo or print, and in many cases with anecdotal or historical information. Public bars, brewers, landlords and advertisements are also covered in fascinating detail. 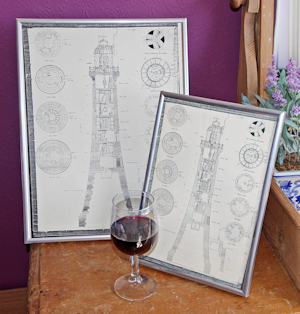 Original architectural plan with fascinating detail. A4 £3 + £1.90 p & p, supplied in card backed envelopes. 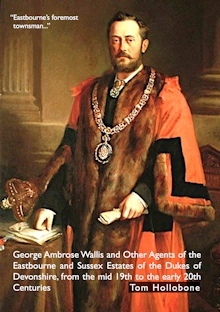 George Ambrose Wallis, Eastbourne's first mayor, and his brother, William Lumb Wallis, were responsible for the parades and promenades, Upper Dukes Drive, the Devonshire Baths, many fine houses and much beside. This booklet contains much new information about the Wallis brothers, about Henry Currey, the architect, and others who played a significant role in the building of the Victorian town of Eastbourne. 58 pp, softbound, illustrated with prints and maps. The 1841 Census for Eastbourne. A meticulous transcription of the names, ages, employment and addresses of those living in the Parish of Eastbourne on the night of 6/7 June 1841. An invaluable reference for genealogical researchers. Canucks by the Sea by Michael Ockenden. 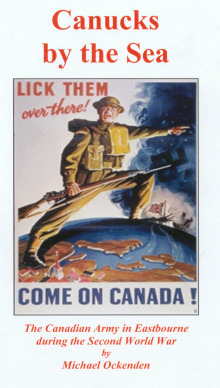 The story of the Canadian Army in Eastbourne during the Second World War. Fully illustrated. Extended second edition, 193 pp softbound. Rosemary Milton and Richard Callaghan. 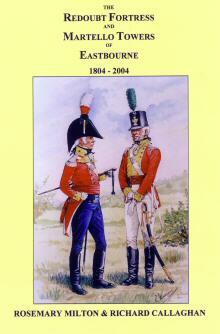 An impressive illustrated record of the origins and use of these defences against the Napoleonic threat, together with details of the soldiers and military units which manned them. By Lou McMahon and Michael Partridge. 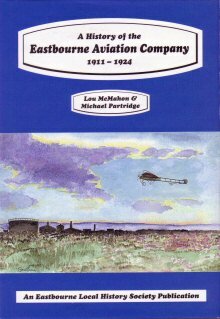 A detailed, fully illustrated story of the men who learned to fly and of the machines in which they flew; also a record of the RNAS occupation and the 250 aircraft that were built here, 174pp, hardback. 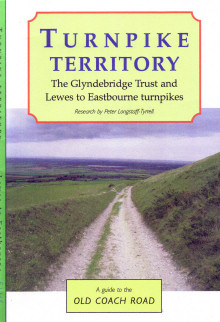 A guide to the old coach road from Lewes to Eastbourne. The Stream That Gave Eastbourne Its Name. 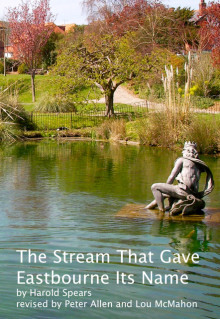 An illustrated history of the Bourne Stream. Third edition 28pp. Origins of Eastbourne's Street Names by John Milton. 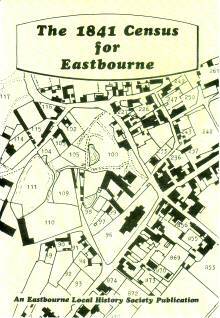 An illustrated record of the origins of the names of every one of Eastbourne's streets including their historical context or derivation, together with their dates of origin. A completely new edition is in progress. Cheques should be made payable to the Eastbourne Local History Society. Please ask for rates if you need other than UK second-class postage.